It’s tax time! Not exactly a fun activity, but it does give us the opportunity to talk about what we love and what we do best - building resources for international students in the US. Our new Form 8843 online wizard simplifies the tax filing process for all international students, rounding out our comprehensive tax section on InternationalStudent.com. We also continue to share our multimedia Sexual Assault Awareness Training for International Students, available free to any school or cultural exchange organization that would like to use it. After presenting on sexual assault at all NAFSA Regional conferences this fall, we’re happy to make this important resource available and are looking forward to presenting on the topic again at the NAFSA Annual Conference. We also take a moment to introduce you to the newest members of our ever-growing team, with two additions to our Florida office and another to our office in Mexico City. InternationalStudent.com is proud to launch a Form 8843 online tax wizard. The new tax wizard is a free service designed to help international students complete the IRS tax Form 8443 (the form that all international students must complete and submit to the IRS each year). Students will simply need to enter their information into the form, and the wizard will pre-populate all their details into the official IRS Form 8843 for them to print off, sign and mail to the IRS for processing. No data is saved or shared by InternationalStudent.com. 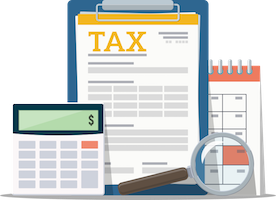 The revamped tax section also has a wealth of information for students about the upcoming tax season, including expert advice options should they need it. Cell phone use is at an all-time high and educational institutions are not immune to the impact of overuse. One visit to a college campus lends insight into the fact that both domestic and international students enjoy their screen time. However, many schools are taking action when it comes to excessive cell phone use and are finding creative ways to limit screen time during classroom hours. Read our blog to see what a few schools are doing to take matters into their own hands and if it’s something that could work on your campus. Additionally, if you missed our NAFSA Regional session on "Beyond a Brochure: Training International Students on Sexual Assault Awareness," you’re able to attend it at this year’s NAFSA Annual Conference in Philadelphia, as we were selected as Best in Region! This session will also be available at CONAHEC in Guadalajara, Mexico on March 19th at 11:10am in room Morse B105, and at MAIE in Bay City, Michigan on March 22nd at 8:30am. 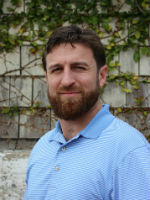 Gregory Heindel joined EIC in February of 2018. He is a Florida native and has worked in marketing for 6 years as a website developer and online marketing manager in the Greater Jacksonville Area. He enjoys traveling as much as possible and likes to spend his free time on the water and playing sports. 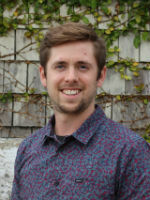 Nathan joined the EIC team in 2018. He is originally from Covington, Kentucky and is a graduate of The Ohio State University with a Bachelor's degree in Comparative Studies and a minor in Computer and Information Science. Nathan's background and foundation comes from working across many different arenas including healthcare, e-commerce, life safety, and education. 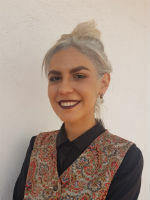 Alexis joined EIC in February 2018 and works in the Mexico City office. Originally from the Yucatán peninsula, she has a degree in Visual Arts and has always had an interest in languages. She is currently learning Japanese and Swedish, enjoys translating between English and Spanish, and loves meeting people from different cultures. At InternationalStudent.com, we strive to be the go-to-resource for international students that want to study in the US. One of the growing trends that is attracting students to the United States is pathway programs. We have created an entire section on InternationalStudent.com to providing information about these programs and have partnered with one of the leading providers of pathway programs in the US: INTO University Partnerships. Our partnership with INTO University Partnerships allows us to provide our students with a stellar list of US schools where they can get the attention they need to acclimate into the US as well as prepare themselves to study in an all-English environment. INTO has centers at Oregon State University, University of South Florida, George Mason and seven other quality schools across the US. InternationalStudent.com provides INTO with a steady stream of interested students and exposure to the 700,000 monthly visitors on our site. Learn more about our pathway section, or contact Wini Puglielli for details about our INTO partnership. 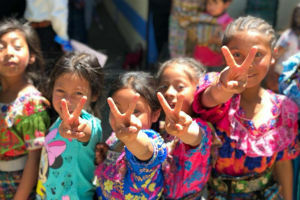 The 2018 EIC Guatemala Team has returned to the United States, leaving behind a brand new elementary school and playground. Last week they spent each day working alongside community members of Patzalam Choacaman to provide a safe place for their current children and future generations to learn. Accompanied by members of Flywire and IvyWise, the entire group worked hard hand-mixing concrete, painting, hauling dirt, concrete and water, playing multiple games of soccer and hopscotch, and developing relationships within the community that will have a life-long impact. You can read more about the details of our trip on our blog, or through social media using #EICSchoolTheWorld2018 and #EnviFlyWiseSTW. If your company would like to take a trip through School the World, learn more about their corporate opportunities.